The mobile library is provided by Hampshire Libraries, part of Hampshire County Council’s Culture, Communities and Business Services department. Hampshire Libraries hold over 2 million items of stock and receive nearly 6.5m visits and is one of the largest library services in the country. The service provides forty-nine libraries, three Discovery Centres, two local studies libraries, two prison libraries, and four mobile libraries. The mobile library normally visits the Candover Valley once a month, and makes stops at Stenbury Drive in Preston Candover, Bradley Village Pond, Upper Wield Village Green and the Candover Valley Club in Brown Candover. Feb 28, Mar 28, Apr 25, May 23, Jul 18, Aug 15, Sep 12, Oct 10, Nov 7, and Dec 5. 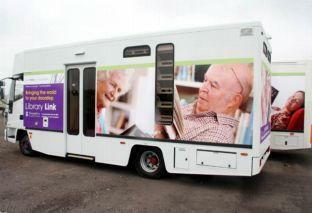 You can download a PDF timetable for 2013′s mobile library visits, or check the times and routes of services on the Hampshire Libraries online service.